Since the beginning of 2019, the PBC, China's central bank, has taken a slew of moves to release liquidity into the economy. It announced on January 4 that it was cutting Reserve Requirement Ratio (RRR) by 1 percentage point, injecting net 800 billion yuan ($119 billion) additional liquidity. Not too long after adding a newly created targeted medium-term lending facility (TMLF) to its toolkit in mid-December last year, TMLF already made its first debut after a little over a month, pumping another 257.5 billion yuan into the economy. Last week, the PBC issued the central bank bills swap (CBS) to support commercial lenders' perpetual bond sales. These moves are targeted to smooth out the capital squeeze of major banks before the Chinese New Year and are aiming to channel capital to the small and micro-sized enterprises. However, the changes have triggered concerns about whether China has gone back to reopen the floodgates of stimulus seen a decade ago. The real estate sector also wonders if the upcoming year will be their time again. In 2009, the State Council put forward a basket of fiscal and monetary easing policies to cope with the ripple effect from the US financial crisis. One major side effect of the massive monetary easing was distorting the real estate market. Property speculators sent home prices skyrocketing. For instance, the National Bureau of Statistics (NBS) estimates, that housing prices in Beijing increased nearly three times from 12,418 yuan per square meter in 2008 to 32,140 yuan in 2017. Some districts and areas in major cities have seen even greater price rises. But the situation is quite different now. The property purchasing restrictions from central to local governments have taken effect and put a brake on the fast-growing housing prices. Despite the few RRR cuts which unleashed trillions of liquidity last year, the housing market has been lukewarm, especially in the second half of the year. In December 2018, new residential housing prices in the first-tier cities have only increased marginally while the second-hand housing prices have actually decreased. The real estate and related industries will gradually become less tempting for speculators if the government continues to tightly regulate the housing market. As long as the restrictions on the housing market are not lifted, government regulations can keep the prices at a stable level. As time goes by, companies and speculators which currently maintain a wait-and-see attitude will eventually lower their expectation for housing price rises. The wild growth and expansion of the Chinese real estate market can therefore come to an end. Furthermore, the increased liquidity will then be more likely to flow to the intended sectors. 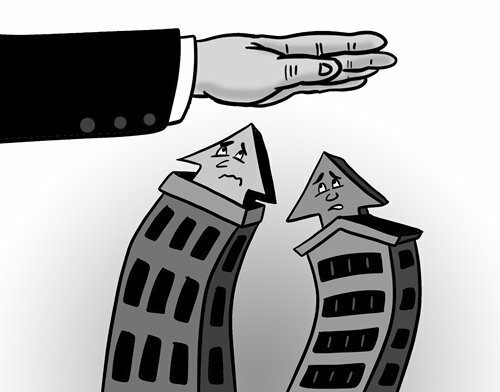 Aside from regulating the housing market, how to tame the risks stemming from monetary easing after the policies start to come into force would be another thing to consider. China's policymakers have made strong efforts to channel the money into the small and micro-sized enterprises. The PBC adjusted the RRR calculation on January 2 so that an inclusive finance RRR cut will be able to benefit more small and micro-sized firms. It also lowered required ratings for the collateral, aiming to bring down the thresholds for them to borrow. In reality, the capital is always attracted to the most profitable options. So the unexpected may still happen. First of all, profit-driven motives and potential rent seeking opportunities in the loan issuing process will inevitably generate some low-credit quality or even non-performing loans, especially when the standards to grant loans are reduced. Second, abundant capital in the banking system may encourage excessive borrowing, which could hinder China's deleveraging effort which it has been pushing for years. If it is not housing, there could be something else to place a speculative investment into. Third, loan officers in banks would generally pick State-owned enterprises (SOEs) over private firms to avoid significant credit risks. The borrowing difficulties for private sector are widely considered institutional. Only fundamental systemic changes or solutions can address the problems. The small and micro-sized businesses are more vulnerable to exogenous shocks and hence carry more risks compared with the SOEs, which often benefit from their special ties with the government - more favorable resources and more likely to be bailed out amid a crisis. The new monetary policies are still mild and complementary; and their effects will take time to show. In order to direct the newly added liquidity to the small, micro- and medium-sized enterprises, it is imperative to give private companies and SOEs equal-footing while extending a credit line to them.